Thank you so much to Jennie Fitzkee for conducting this interview for my blog tour! This post features truly beautiful art! It´s time again for the wonderful challenge The Changing Seasons, invented byMax atCardinal Guzmanand now hosted by my dear friend Su atZimmerbitch. Although Spring officially started this month, March decided not to take any notice of it and it was bitterly cold here throughout. On one of my walks I decided to take advantage of the still barren trees and took a few photos from their spindly branches reaching into the clear skies. I couldn´t decide which one I like more, so I posted them both. 😉 Do you have a preference? 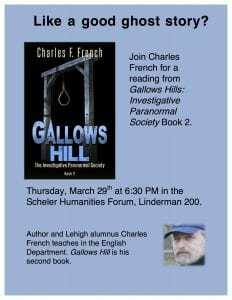 Please join us as Charles French reads from his latest book, Gallows Hill. This is the second installment in French’s Investigative Paranormal Society series. This is a deeply powerful and important post from Cindy Knoke. This is a wonderful post, especially on National Tolkien Reading Day, about the hope that exists in Tolkien’s writings. This is an excellent post from K.D. Dowdall! This is a wonderful post on the imagination and perception of a child. 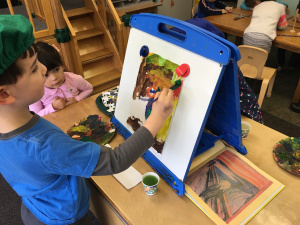 The children have started painting in earnest, and studying both art and techniques. All this work and joy is in preparation for our annual Art Show. Much more on that to come. The yeller that was lost? Of course! 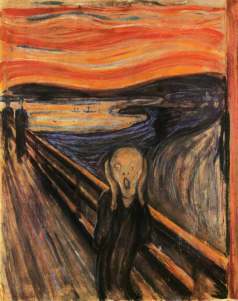 “The Scream”, by Edvard Munch. 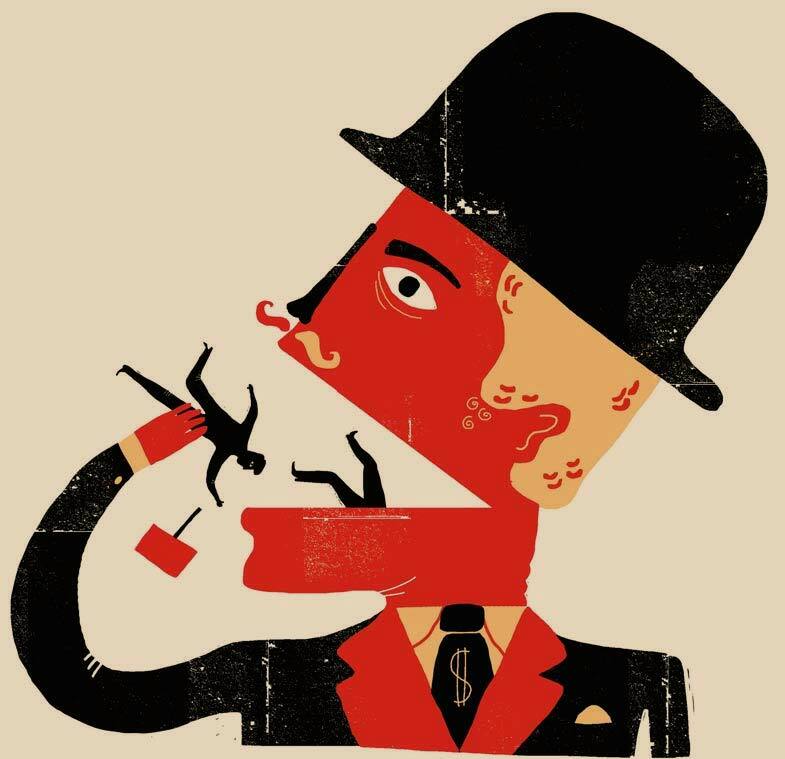 The figure is screaming, or yelling. And, we had talked about how it was lost or stolen, and finally found. Alex remembered. He loved the intrigue of the art subject, and he really wanted to paint those swirls. He is doing an excellent job, having returned to his work three times so far.